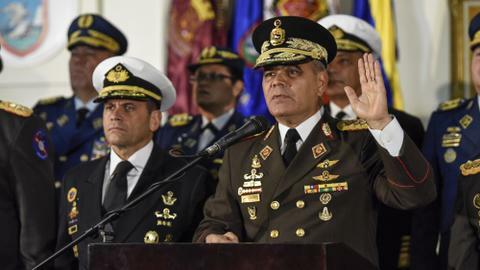 The arrests came after Venezuela's government said it had suppressed a military revolt after a group of officers stole weapons and kidnapped several officials and demanded removal of President Nicolas Maduro. Venezuela plunged deeper into turmoil on Tuesday as security forces put down a pre-dawn uprising by national guardsmen that triggered violent street protests and the Supreme Court outlawed the opposition-controlled congress' defiant new leadership. The mutiny triggered protests in a poor neighbourhood just a few kilometres from Venezuela's presidential palace. It was dispersed with tear gas as residents set fire to a barricade of trash and chanted demands that President Nicolas Maduro step down. TRT World's Lionel Donovan reports. The military said in a statement that it had recovered all the weapons and captured those involved in what it described as "treasonous" acts motivated by "obscure interests tied to the far right." It said at around 2:50 am (06:50 GMT), a small group of guardsmen took captive a captain in charge of a police station in western Caracas and then moved across the capital in two military trucks to the poor neighbourhood of Petare, where they stole a cache of weapons from another outpost. They were caught a few hours later at a national guard outpost three kilometres from the Miraflores presidential palace. A few hours earlier, a group of heavily armed national guardsmen published a series of videos on social media saying they won't recognise Maduro's government, which has come under increasing domestic and international pressure over a newly begun second term that the opposition-controlled congress and many nations consider illegitimate. At daybreak in the adjacent neighbourhood of Cotiza, a group of shirtless young men, some with their faces covered, built a barricade across the street with a burning car, heavy sewer grates and a large chunk of concrete. "Freedom! Freedom!" they chanted, "Maduro has to go!" 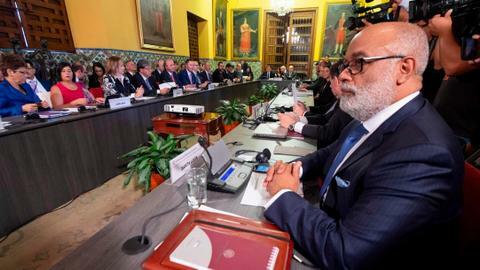 Hours later, the Supreme Court said it was throwing out recent measures by the National Assembly that declared Maduro's presidency illegitimate, deepening a standoff with the opposition-controlled legislature. The justices ruled that the new leadership of congress itself is invalid, and urged the country's chief prosecutor to investigate whether congressional leaders had acted criminally in openly defying the nation's constitution. 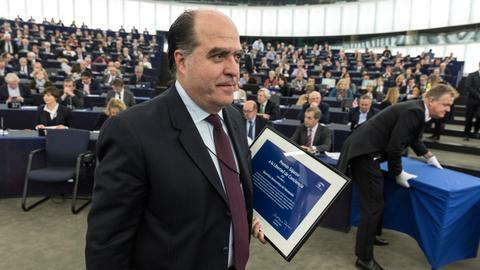 Juan Carlos Lamas reports from Caracas. 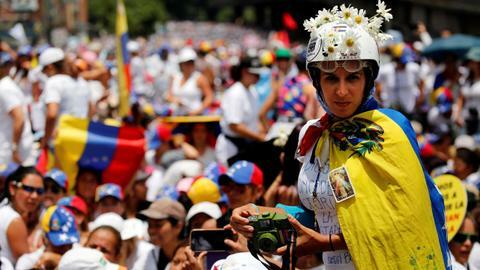 Juan Guaido, president of congress, shrugged off the court's warning and reiterated his call for people to take to the streets on Wednesday — a historic date commemorating the end of Venezuela's military dictatorship in 1958 — to demand Maduro abandon power. "The National Assembly is the only institution elected by the people of Venezuela," Guaido said at a press conference at the legislature. 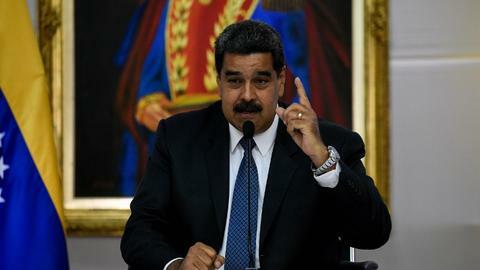 Maduro was the target of an apparent assassination attempt on August 4, when two drones armed with explosives detonated near him as he spoke at a military parade. Officials have jailed dozens of suspects, including an opposition lawmaker.